The AcrySof ReSTOR lens is a type of intraocular lens that works to correct vision in cataract or presbyopia patients who have trouble focusing at near, far, or middle distances. Instead of using glasses, contacts, bifocals, or trifocals, most patients will be able to focus seamlessly between varieties of distances following the ReSTOR implant. Many patients are able to throw away their reading glasses with their newfound independence! 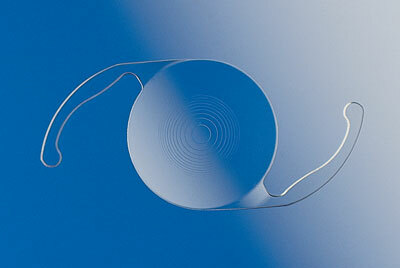 After the eye’s natural clouded lens is removed during cataract surgery, the ReSTOR lens is implanted. Apodized diffractive technology helps the small convex lens distribute light appropriately based on your focusing attempts. Unlike traditional cataract surgery where the lens is removed and replaced with a monofocal lens; most ReSTOR patients will not need reading glasses following the procedure. Good candidates for the ReSTOR lens include patients with healthy corneas who are developing cataracts or who have the condition of presbyopia, a condition where the eye’s lens loses flexibility and causes near vision difficulties. Patients who have already had cataract surgery cannot have the ReSTOR procedure. Trust your vision enhancement to the ReSTOR leaders in. Contact Berg·Feinfield Vision Correction today for your personal eye care consultation.